YOO design, develops and markets affordable wireless activity monitors that sync to smart phones and tablets through Bluetooth Smart and proprietary technology. 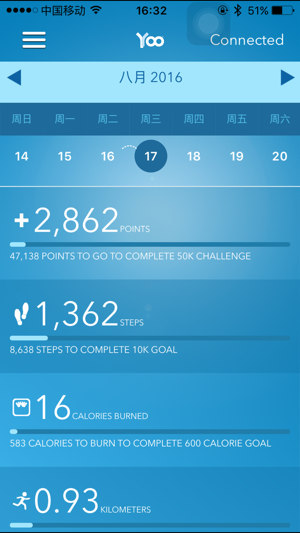 Unlike other wearable fitness devices that do little more than display your activity data back to you on an app, YOO leverages gamification techniques to engage the user in the YOO Challenge where the New YOO competes against the Old YOO in an ongoing race. 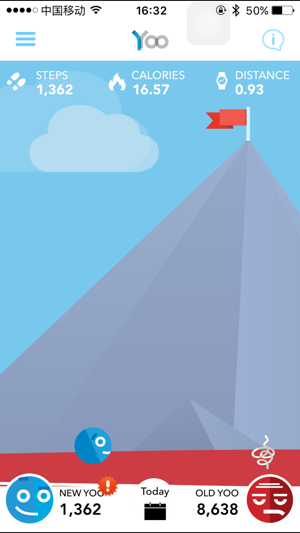 The New YOO represents the motivated version of ourselves that sets and achieves personal goals. The Old YOO represents the unmotivated version of ourselves that succumbs to laziness and bad habits. 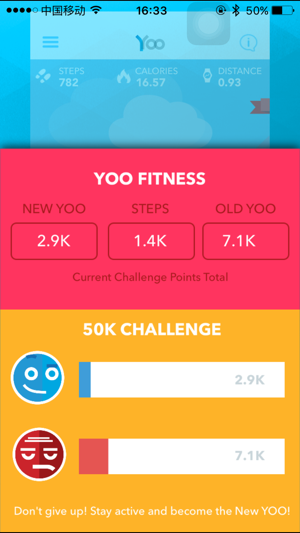 In the game of YOO the New YOO is awarded points when we are active and meet our fitness goals. The Old YOO however earns points when we miss those same goals. The result is an ongoing race against ourselves designed to be a daily reminder to not only embrace our New YOO but also to be mindful that the Old YOO exists in us as well. Achieving and maintaining permanent lifestyle changes requires a daily commitment and YOO Fitness is dedicated to raising awareness to the ever present struggle between our better and worse versions of ourselves. 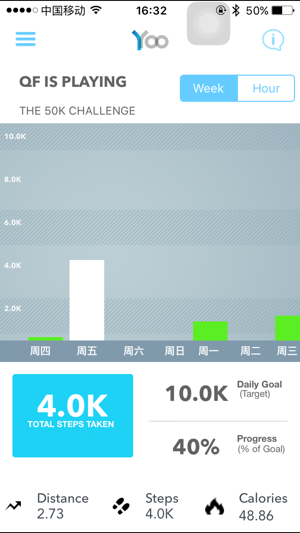 Thanks for using Yoo Fitness+ ! I think the app works well. It tracks all my data and then presents it in a concise and understandable manner. The only reason that I am giving it a four star rating rather than a five star rating, is because I have just switched my yoo band and I’m having a little difficulty with the notification settings. Every time I try to turn the notifications on, I get a message telling me that I have to connect my band first. My Bluetooth settings show that I am connected. I have an email out to yoo and I will edit this review once I hear back from them. Just bought this today and everything started out fine. Found the page to sync it, and it wouldn’t connect after 7 minutes of it just sitting on my phone. Bluetooth on, lights going back and forth, etc. So I closed the program and now everything closes out every time I attempt to sync. Tried it on my device that was about 3 years old and my device that’s only a year old, both with recent updates... Really wished it could have worked. So far I have 3 family members in the YOO RX. The app works great in tracking activity and we use the notifications and alarm function a lot. Customer service is great about warranty service. 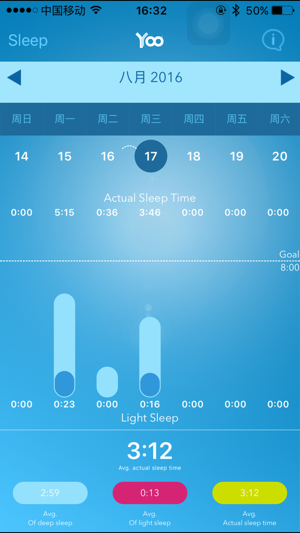 The only improvement I would like to see is on the sleep data to show more detail rather than a round clock.